Battlefield V open beta went live earlier this month and was enjoyed by thousands of fans all over the world. The open beta ended last week and fans observed one main aspect from the recent beta and raised their concerns regarding the size of maps. According to the Battlefield fans, the size of maps in the recent open beta didn’t live up to the expectations and the community is concerned about the map size as compared to the open beta in the full game when it launches in November. Good news is that the fans should not worry as DICE has responded to the queries of the community and assured that the team is working for the bigger maps. Another designer Jeff Gagné responded the tweet and shared further information by adding that more bigger maps will be there when the game launches and also asked the fans not to judge the maps with the recent open beta. We’re also making big map guys. I know I know, it’s easy to come to conclusion but jeez, the game is not released and we are starting to share info. Stop assuming things folks please. 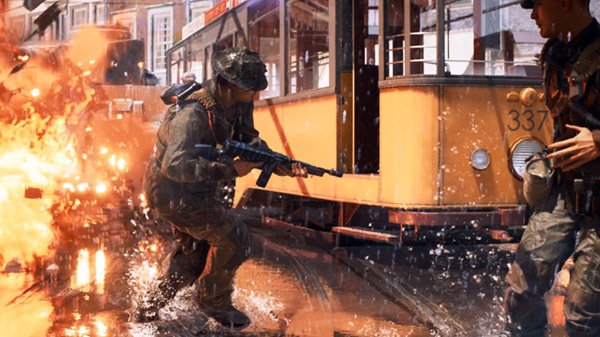 The reports suggest that Battlefield V will be facing a tough time since the launch of Red Dead Redemption 2, Call of Duty Black Ops 4 were scheduled for the similar month, which may have affected the pre-orders of new Battlefield as this game received lowest pre-orders in recent years. Battlefield V is scheduled for release on November 20th for PC, PlayStation 4 and Xbox One. Stay tuned for more updates!